Ivane Javakhishvili Tbilisi State University is a demanding and prestigious university located in Georgia. 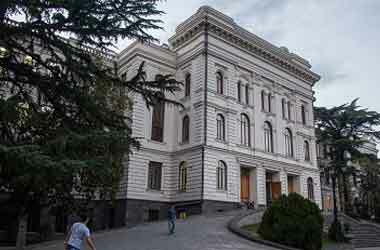 It is also recognized by the short name Tbilisi State University or TSU. It is truly a very good university to study especially MBBS in Georgia at a lower fee. Tbilisi State University has it all. An unmatched medical university to study medicine with world-class infrastructure and amenities made available at an affordable cost. Established in 1918, it has completed 100 successful years. A limited edition 5 GEL currency coin was also issued by the Georgian government to celebrate the 100th anniversary. It is a government run university with low tuition fee for students from India and abroad countries. The education and study environment in TSU is incomparable. Every year thousands of the Indian students travel to Georgia to fulfill their lifetime dream of becomes medical professional and practice as a successful doctor in the different parts of the world. Why Go to Study MBBS in Tbilisi State University? Georgia is a European nation that facilitates the best education in medicine across the world.